Online learning is the future of education. It allows you to improve your educational standing, career prospects and earning potential from the privacy of your own home. However, online coursework is often extremely challenging and the grades received for online coursework you complete yourself do not always reflect the magnitude of actual education absorbed from the classes. Essay Mama is here to help with our professional online coursework assistance. Online classes involve all the demands of traditional schooling, including study, coursework and testing. However, online courses by their very nature are intended for those with little spare time due to the hectic nature of their everyday lives. This leaves a potentially successful student who is pressed for time on a daily basis with inadequate opportunities to show his or her full capabilities through coursework. Don't let a lack of spare time cause you to turn in assignments that belie your true potential. Trust the experts at Essay Mama to see you through your online coursework. The coursework team at Essay Mama is comprised of certified experts in a variety of fields. We choose the team member most knowledgeable about the subject matter involved with your coursework and apply their expertise to helping you achieve the best grades possible. We employ experts in virtually every field of study to assist with online classes, including MBA coursework. Essay Mama staff members are here to help you get the most out of your investment in online education. We only employ qualified experts to complete online coursework for our clients. 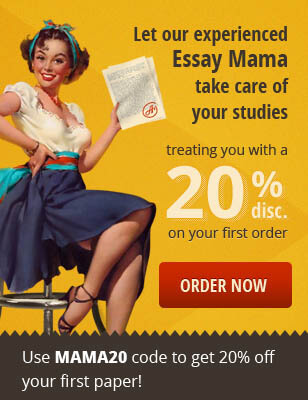 At Essay Mama, our experience is your benefit. Online courses are designed to fit around a busy schedule, but professional, personal and social commitments often stand in the way of an otherwise capable student obtaining an online education. Many students of online classes have full-time jobs or children to take care of, and although continuing your education is very important, obligation to the bills, the kids or both often supersedes obligation to online courses. Why should your life be put on hold to get the credentials you deserve? The experts at Essay Mama have decades of combined experience with online coursework, and we are proud to make one facet of your life a bit less tricky to navigate. Many online coursework resources try to increase their profits by using unqualified or inexperienced personnel. Providers like this defeat the purpose of utilizing an online coursework services, and can actually make your grades worse while charging you for the favor. At Essay Mama, each of your course requirements from the first research project to the final essay is the most important to us. Our experts meticulously prepare your coursework, ensuring the highest quality and best grades. While there is absolutely nothing illegal about using an online coursework service to complete your online classes, plagiarism is highly illegal and could result in jail time, heavy fines or ineligibility to continue your education. Our written coursework is never plagiarized, so you can rest at ease knowing you will receive only original work. Trust Essay Mama with your online coursework and see why we are one of the most trusted resources of our kind on the Internet. If you are in need of quality online coursework to help you achieve your goals, the best place to go is Essay Mama. We always incorporate our wealth of expertise into all of our client's projects, and our policy of guaranteed confidentiality protects your academic reputation. Earning a degree online is the current wave in education, but earning it smarter with Essay Mama is the future.